Your immune system is undoubtedly one of your most valuable assets, serving as your natural shield against bacteria and viruses. Have you noticed that some people seem to be “unbreakable”, and rarely ever catch a cold? 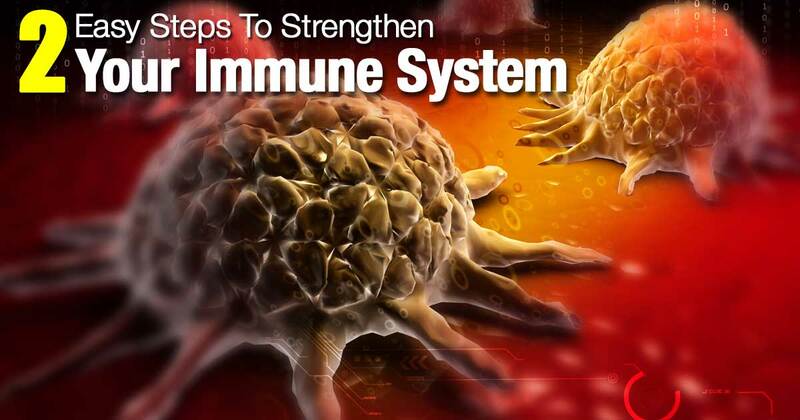 The reason why is because some of us have a naturally strong immune system. However, even if your natural defense mechanism is not as strong as it should be, there are several things you can do to make sure it works at its fullest potential. With that in mind, here you will find some of the main reasons why your immune system is down, and what you can do to naturally restore its function! Probiotics are live bacteria that live in the gut and counteract the effects of bad bacteria and viruses. When the levels of probiotics drop under a certain limit, we are left exposed to these viruses and more prone to catching a cold and developing various conditions, such as autoimmune disease or even the leaky gut syndrome, which has been widely linked to low levels of good bacteria. When the lack of probiotics is to blame for this, the good news is that you can easily reverse these conditions by simply increasing your intake of good, live bacteria. The leaky gut syndrome is also associated with a wide array of dangerous, long-term diseases, ranging all the way from lupus and diabetes to multiple sclerosis. When you accidentally destroy the probiotics in your gut (which usually happens after taking antibiotics for an extended period of time), the leaky gut syndrome sets in and microbes, toxins, undigested food and other types of toxins are likely to leak through your intestines. Probiotics have many different benefits you should be aware of. Aside from improving the irregular bowel movements and treating the leaky gut syndrome, probiotics also reduce the amount of harmful gastrointestinal microorganisms (the bad bacteria, in other words). They reduce bloating and other forms of gastrointestinal discomfort and they also increase your resistance to pollen, allergens, viruses and bacteria by simply boosting your immune system. At the same time, probiotics are also known to protect your DNA structure from oxidative damage induced by free radicals, thus having the same effect as antioxidants. Now that you know how probiotics work and why they are paramount for our overall health, it is important to be aware of the actions that destroy our “probiotic reservoir”, slowly but surely. Antibiotics are known to be probiotics’ number one enemy. Whenever there is a bacterial infection going on and you are prescribed a strong antibiotic treatment, the antibiotics do not distinguish between the good and the bad bacteria, killing all of them indiscriminately. In many cases, antibiotics can turn out to be life-saving medications. But it is important to be fully aware of the collateral damage they cause – and the antibiotic-associated diarrhea is one of the direct results of the antibiotics killing the good bacteria. Statistically speaking, approximately 30% of those who take antibiotics also develop antibiotic-induced diarrhea, due to the impaired bacterial functioning. However, it must be said that antibiotics are not the only ones you should watch out for. If you care about your health and your immune system – tap water is also very rich in chlorine and fluoride, both of which can quickly wipe out the probiotics in your gut. The bottom line is… you need to take two important measures in order to maintain stable levels of probiotics in your digestive system. The first step is to start consuming foods that are rich in probiotics and that will help you detoxify your intestines and support the function of your immune system (milk yogurt, kefir, kimchi, sauerkraut, apple cider vinegar, kvass or coconut kefir). The second step is to avoid or at least limit the actions that kill the good bacteria, as mentioned above. In addition to this, it is also very important to remember that probiotics are living bacteria, therefore they only thrive under certain conditions. This is why it is important to opt for freeze-dried supplements and pills, as opposed to powders that may have little to no effect.